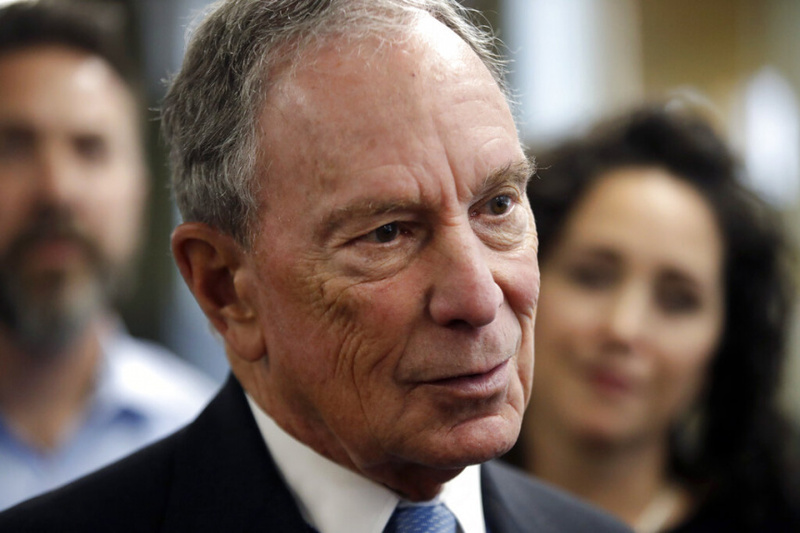 ORLANDO, Fla. (AP) — Former New York City Mayor Michael Bloomberg said Friday that he'll decide by the end of the month whether to seek the presidency. The 76-year-old businessman, one of the richest men in the world, has been openly contemplating a Democratic White House bid since late last year. In an interview with The Associated Press, Bloomberg said he has "three more weeks" to make his decision in line with his plan to announce his intentions before the end of February. "My decision doesn't depend on what other people are going to do," Bloomberg said. "My decision depends on whether or not I think I can make a difference." Bloomberg's decision comes as a handful of high-profile Democrats consider joining the 2020 race. Biden and former Texas Congressman Beto O'Rourke, who earlier in the week said he'd announce his decision "very soon," are the most prominent holdouts. Should he run, Bloomberg would bring virtually limitless resources and a pragmatic governing approach to the field. The former Republican stands out for a decidedly more pragmatic governing approach than some of the early 2020 Democratic contenders, who are more aligned with the party's far-left wing. He confirmed Friday that he "would separate myself" from his foundation and private business should he launch a presidential campaign, just as he did as New York City mayor. "I'm spending more time going around politically now," he said. "You can see the beginning of a transition." "Some of the people that say that are legislators who take money from industries where they're regulating them," he said. "Maybe they should go worry about what they're doing."